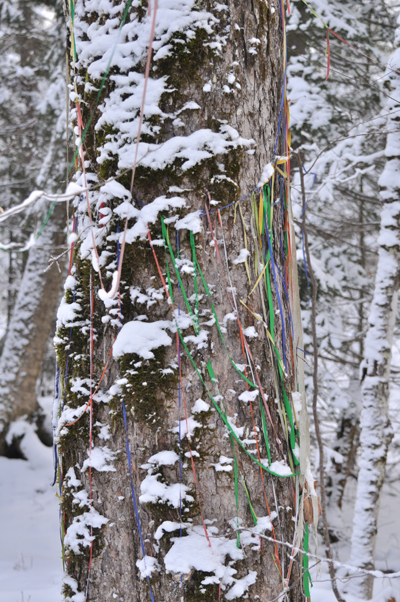 Among my Ada’s people in Siberia it is customary to have many different Sacred Trees. Family Trees, personal Trees, beneath which our umbilical cord was buried in summer or burned in Winter – or as with neighboring peoples – hung into the tree as an act of thanks. 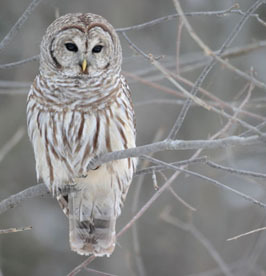 After we bought our land here in Muskoka my husband and me went across the 106 ha property and got acquainted with all the Animals, their dens and nests, the Shrubs and Flowers and most important, all the Trees. We were looking for the Grandfathers and Grandmothers – the oldest Trees and also for the tallest Trees and maybe the Baj Yjaschy, the very magnificent ones. We had right away recognized a magnificent large Spruce, over 45 meters in height with a crown overflowing with cones and home to a Squirrel family. To this, our tallest Mother Tree we cleared a winding path through moist and mossy under bush and honoured Her with a red ribbon, a Tschalaama of life. Then there was the oldest Tree, a majestic Grandfather Maple with a then still lush crown. When I first saw it, touched it, it was clear, this one was volunteering, to be our teacher about the forest and the land we now were stewards of. In a dream my Ancestor told me that this was to be our Kham Yjasch – our shaman Tree and that I needed to dedicate it. But how? I had never done anything like that and was too small when my Father did any work like that. So I journeyed to my Ancestor Spirits and was given specific instructions as well as a chant, that I was to do. I told Peter what we were to do and why we were to approach the Grandfather from a certain side, walk around it a certain amount of times and what each of these “walk arounds” were dedicated to. Then we were to go bring a stone with a natural hole from our home land and put it on a white ribbon and affix it to the Tree to form the connection to the lands we come from. This was very auspicious, especially for Peter, because in his North Friesian heritage, this practice of hanging a “Hühnergott” in order to dedicate something is very present and practised to this day. 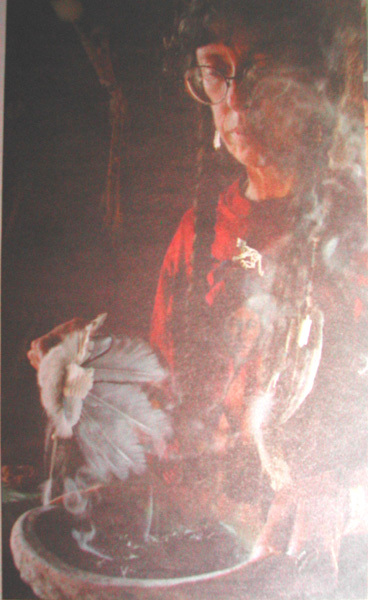 Over the last 22 years we regularly visit our Shaman Grandfather and bring Tschalaama = prayer ribbons, feathers and food offerings, telling Him our prayers, secrets and fears….. He has aged a lot – as have we. There are now many large Piliated Woodpecker holes in His mighty trunk and we have the feeling, that His years are numbered. Then there comes the “dry life”, when the Tree does not leave out or flower any more, when it loses branches and the animals use it as a home. This kind of Tree is OK to cut down and use its wood. Finally there is the “soft life” when the Tree fell over, decays on the ground and is re- absorbed by our Mother the Earth. Pulp from a soft Tree is good to bring into the garden. The small Maple I planted 22 years ago and that is now grown nicely and is the Centre Tree for my Obo. The Enchanted Tree– or also called Fairy Tree by my students – in the middle of a wet section surrounded by other magical plants. 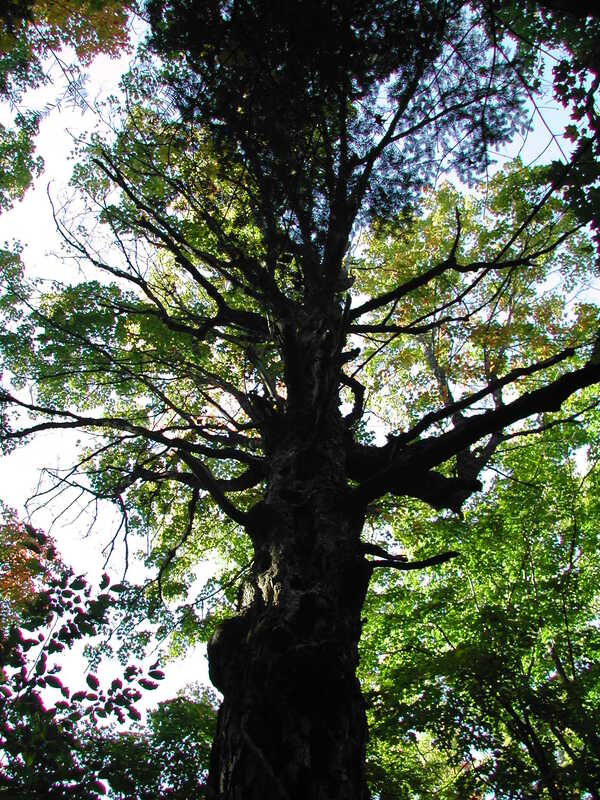 The Critter Tree is a towering Hemlock that at different times was/ is home to our Raccoon mothers, Porcupines, a Marten family, a Barred Owl and – just about everyone else who lives here…. 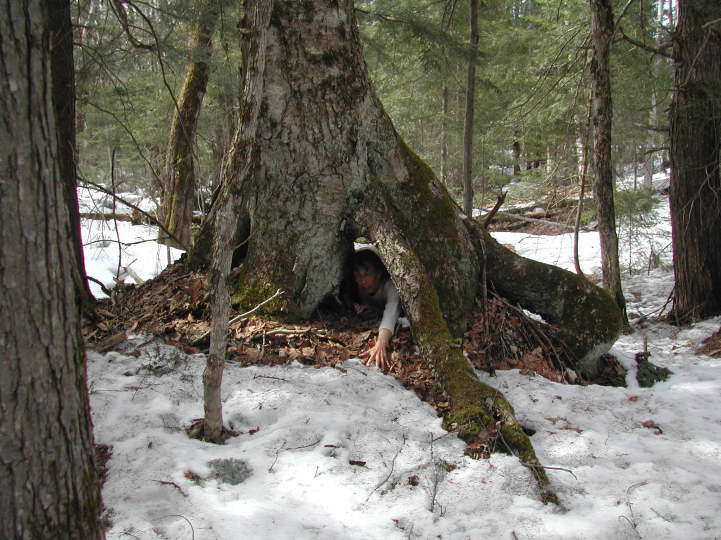 The “Friendly Tree, is a huge Paper Birch with a portal in between her split trunk. In Siberia a Tree with a 2 part trunk like that automaticly marks the Tree as having Sacred Powers. 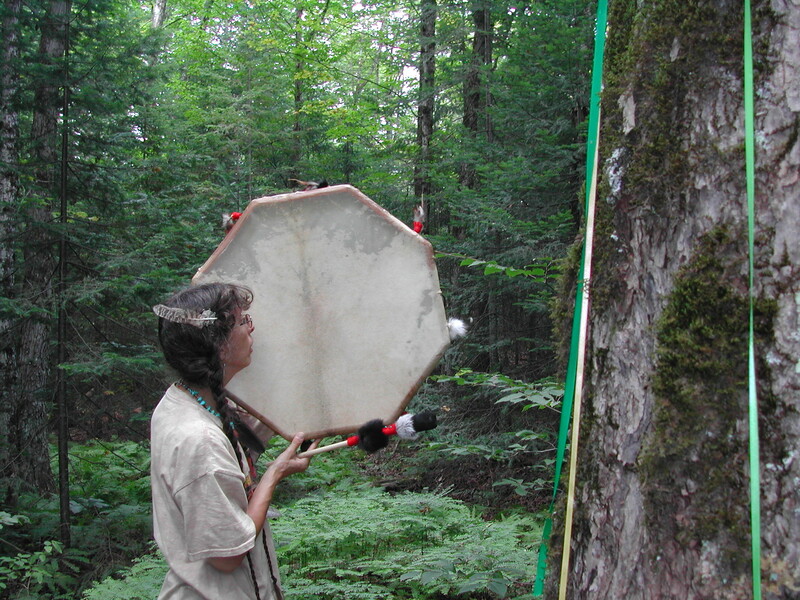 Many a student went there, prayed, sat with Her, then when ready, crawled through that portal and came out the other end a fledgeling shaman…..
Blessings to All Kham Yjasch! Blessings to All Trees everywhere upon Mother Earth! Take a fresh, raw egg and shake it vigorously, to mix yoke and white. Then carefully poke 1to 2-mm square size holes into both ends. Blow out the contents of the egg into a container, wash out your egg and dry it. Put on it your Spirit Guides or their symbology and also all the things, you wish for this coming spring. 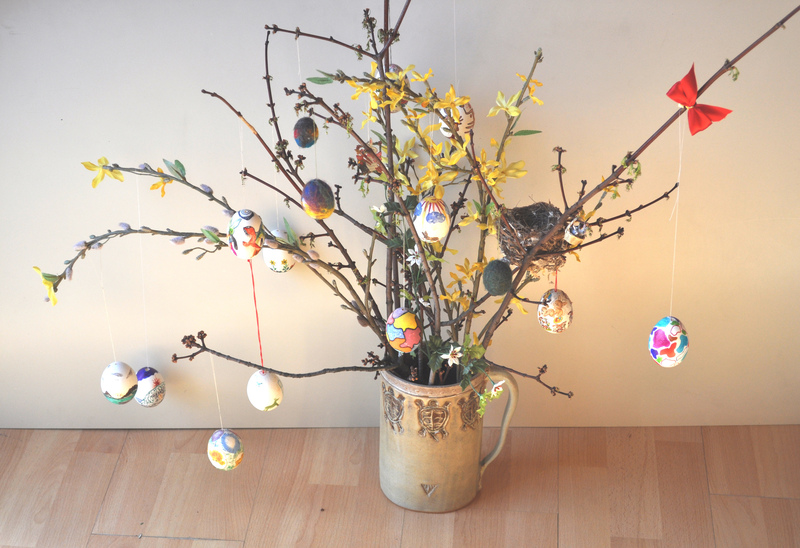 Using a broken match or other small stick and a red thread -red for life,- hang your Spirit egg onto a budding twig or onto another significant spot. It is the egg of what you aspire to grow into this spring. Now nothing shall go to waste, right!? So of to make an omelet! But do it in a sacred manner this time: The egg itself is the egg of the wisdom of the universe all times all life. The ovid mystery! When you add pepper, see it as your creative zest, your inner fire. You may want to add Tabasco !! That will ad some Big fire! And parsley, green, for growth! A tomato = Nightshade plant for sensual looooove!??? What else…. be inventive and creative! And when it is ready eat it as a affirmation / meditation, celebration of yourself and all mysteries that are!Be aware as to what all the ingredients symbolize and what they will bring forth in you! After all: You are what you eat! 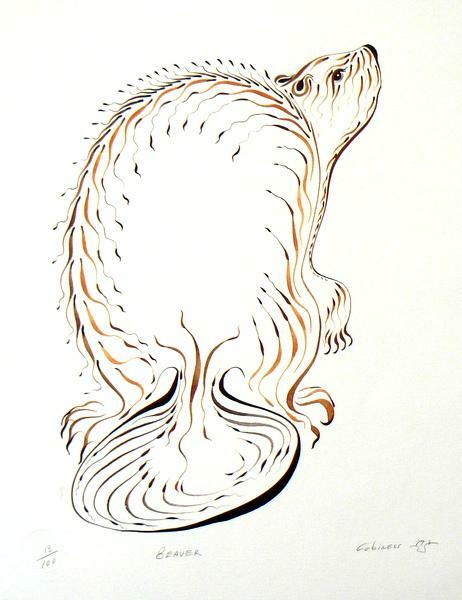 Which animal really and truly in nature hides eggs in spring??????? 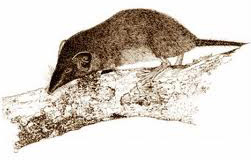 In spring Wa-gish robs and hides the eggs of ground-nesting birds. 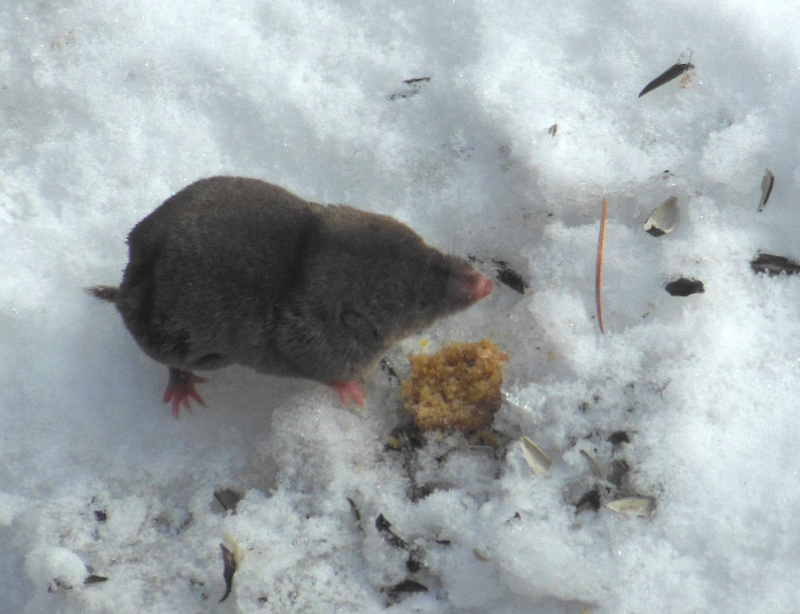 He buries them for the time his own young are being weaned of milk so to have a soft food supply for them. – to stir up the juices of Mother Earth! The christian church tried hard to eradicate this custom. Finally in the year 751 Pope Zechariahs officially prohibited rabbit meat. But who is to know, what is in the stew over the stove?????? So subsequently all meat was outlawed. That was the real reason for Lent. Only later did the church claim to emulate the 40 days of fasting in the desert. 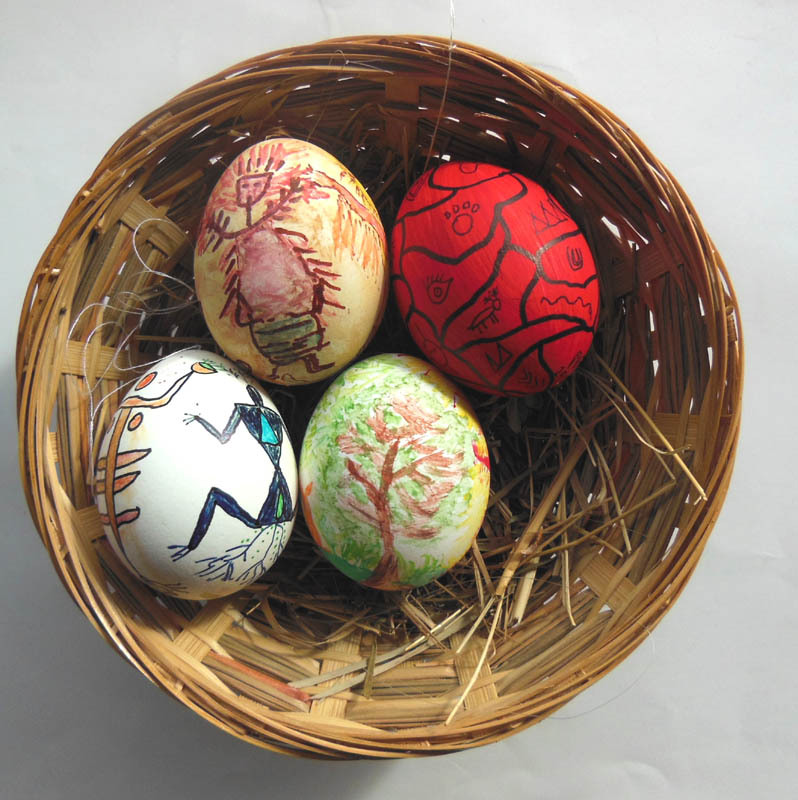 Another custom of early Europe was to throw eggs at each other for fertility and good luck! And that is what I should be dooooooing right now! 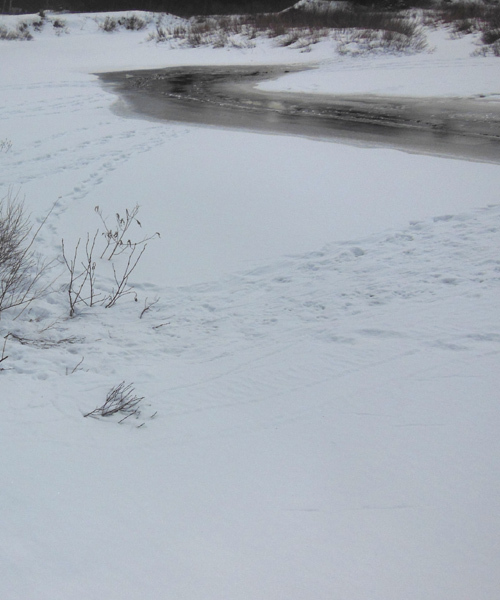 Every winter the large snowplough roars down our country road in a blinding snow storm, miss-judges where exactly the roadbed ends and the soft shoulder begins and thereby rips and mows down all kinds of brush and branches of young Trees, that were (foolishly) growing right in the soft sunny shoulder . Now, in mid March, after the first thaw, these are exposed, ripped loose, laying in piles beside the road. Willow, Alder, young Birch – fast growing stuff…. 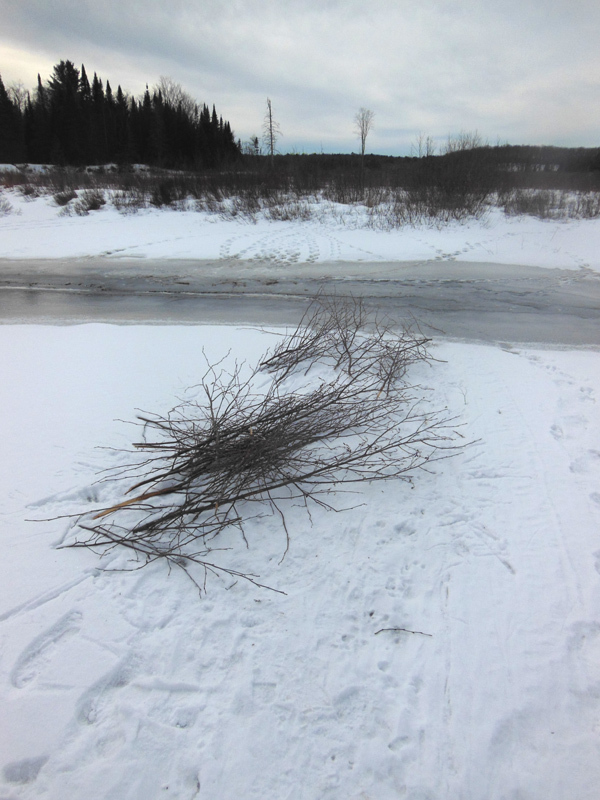 Then , further down the road at the Kawpakwakog River crossing we see Beavers , sitting on the ice trying to reach a few stray branches of Willow, to supplement their by now depleted stash of food, that in fall they had piled high and within close reach of their lodges. 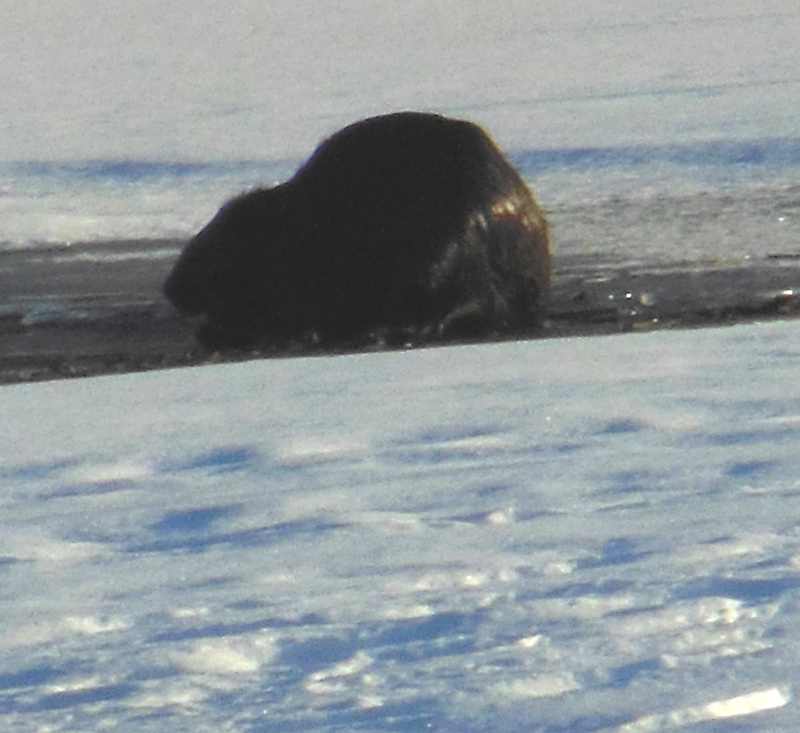 What if I am going with the car , gathering up all the bunches of loose branches and bring them down to where we regularly see the Beavers? !! 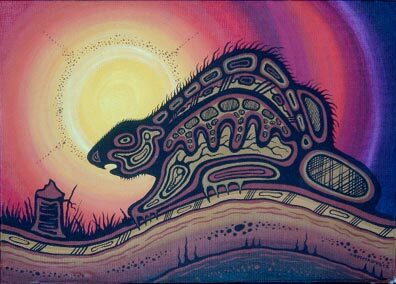 Amik – Ojibway = teaches creativity and family values and how to create a safe environment.